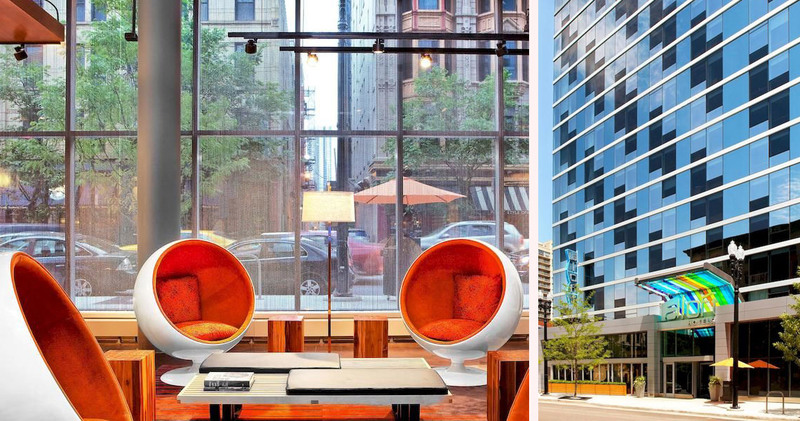 With its vibrant décor and loft inspired accommodation, Aloft Chicago offers guests a fresh and upbeat hotel experience. 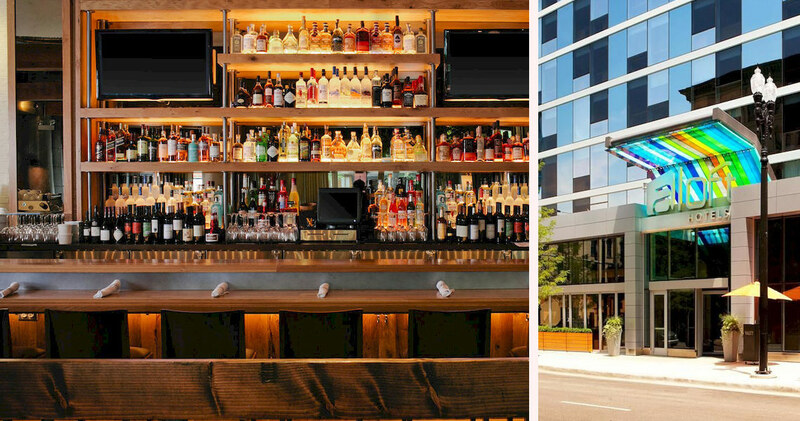 Located in the River North neighborhood, Aloft Chicago is close to the Navy Pier, Theatre District and Magnificent Mile. 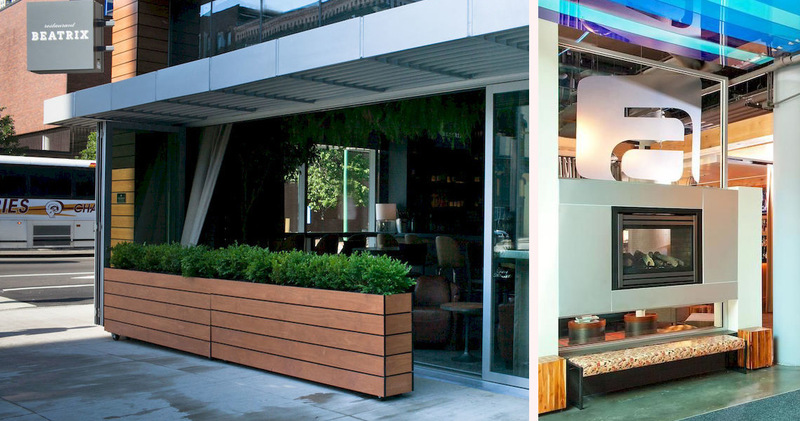 This is a bold, vibrant hotel with contemporary design. 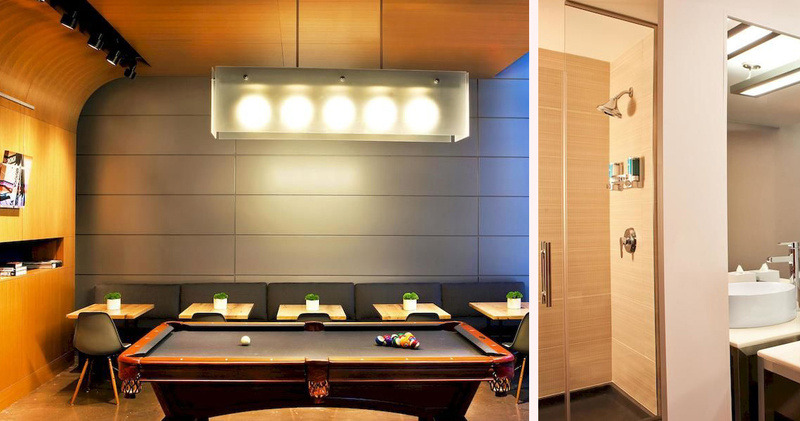 From the modern exterior to the bright decor of the lobby, the Aloft Chicago is a forward-thinking, fun hotel. The Re:mix Lounge features flamboyant orange lounge chairs, trendy music and mood lighting to create a funky space where guests can play pool and mingle. For guests travelling with pets, Chicago Aloft has a free pet program offering special amenities including water bowls, complimentary treats, dog beds and toys. The hotel was awarded the Certificate of Excellence by TripAdvisor in 2015 and is a LEED certified hotel, running a sustainable recycling program for guests and staff alike. 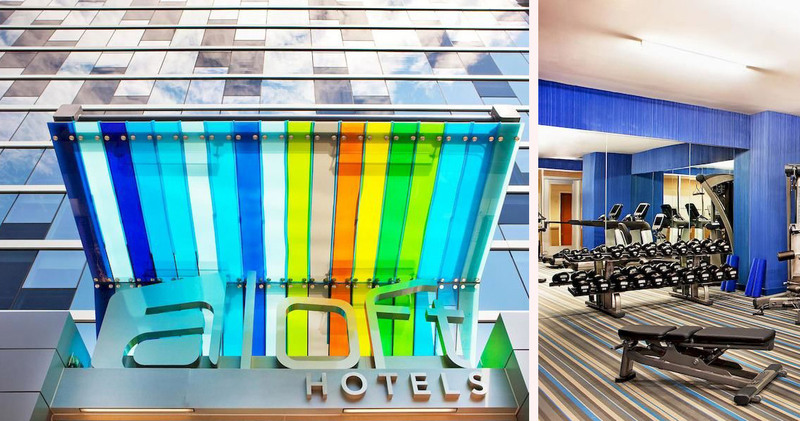 With large windows and nine-foot high ceilings, the spacious guest rooms at Aloft Chicago have a bright and airy feel, with loud, colorful pillows and stylish wooden furnishings that create a contemporary effect. 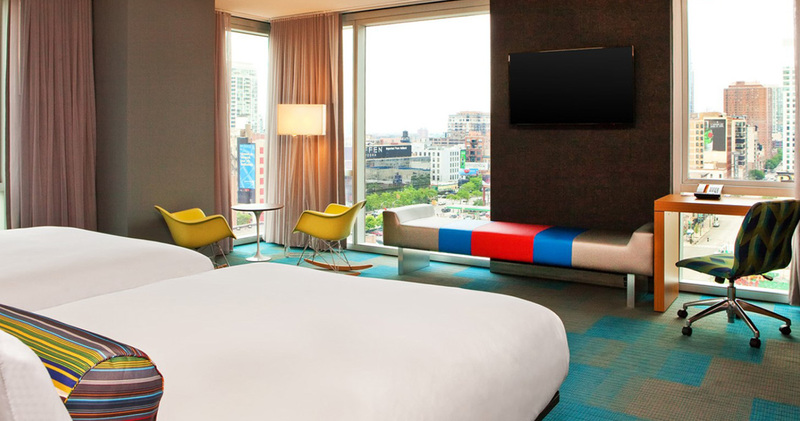 The Aloft Chicago’s signature rest and relaxation platform beds and plush bedding provide the ultimate comfort, while the deluxe bathrooms feature spacious walk-in showers and luxury amenities by Bliss Spa. 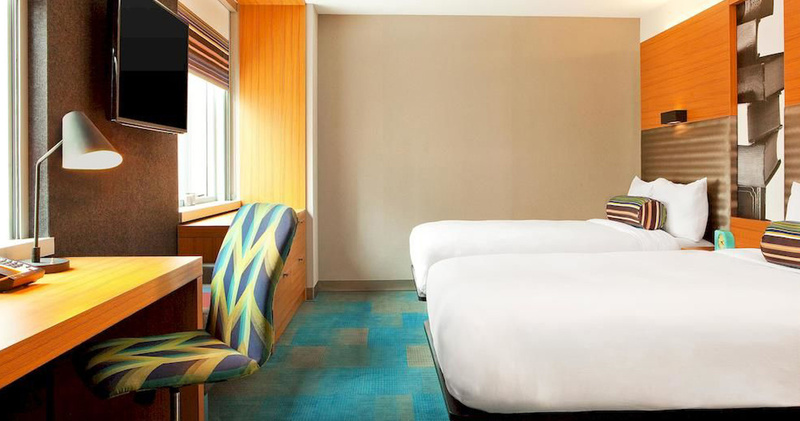 Guestrooms also feature a high-tech entertainment centre offering plug and play connectivity. 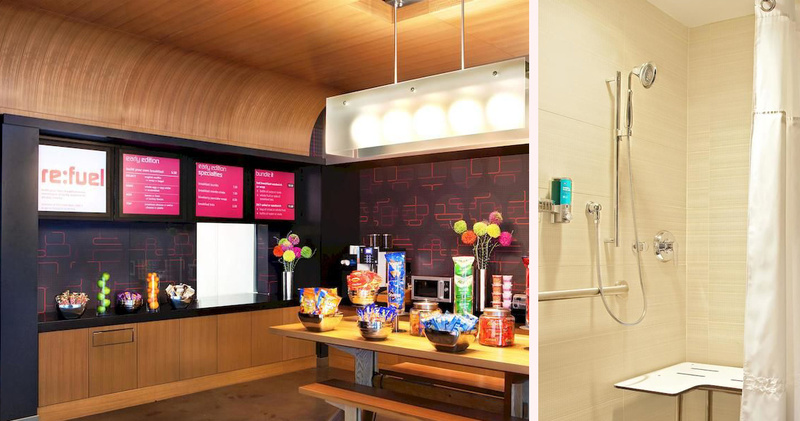 Aloft Chicago is home to Re:fuel, a 24/7 pantry where guests can enjoy freshly made sandwiches, salads, snacks and drinks on the go. It is designed to be a one-stop food and beverage area with a casual, laid-back ambience.